I was excited to host my friends, and fellow sorority advisors, this weekend as we put on the Collegiate Officers Academy for the new Sigma Kappa officers. Today we were busy with the training, one-on-one meetings, and networking meals for 12+ hours. Afterwards we naturally had to treat ourselves to a few drinks! We had a few at Mr. K’s then came home to get comfy. 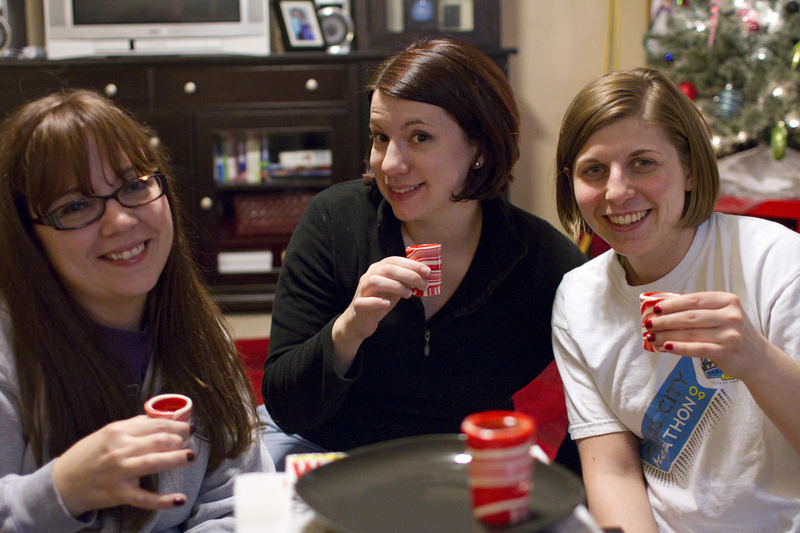 We tried out the awesome (real) candy cane shot glasses the Courtney’s gave me for Christmas – endless entertainment! !